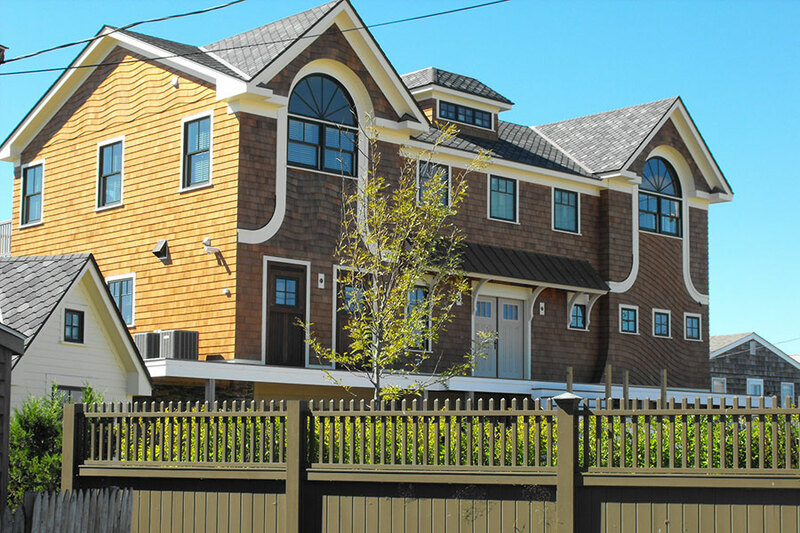 The residence in Narragansett Rhode Island was designed to maximize on the waterfront location while providing privacy for the owners. The property is located near the end of a cul de sac in a neighborhood where the surrounding homes have minimal lot setbacks. In addition to enhancing waterfront views and creating privacy, the client wanted to have a variety of outdoor experiences around the house. 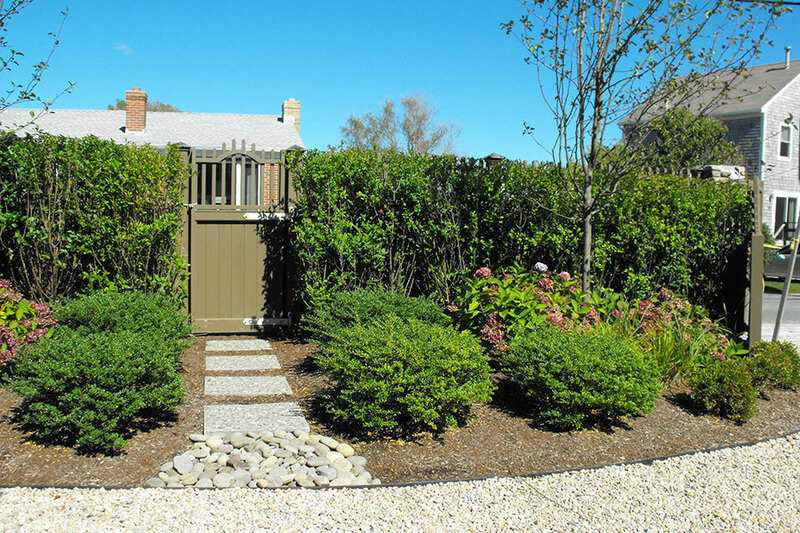 The design provides street-side privacy through both fencing and landscape plantings. As the street-side provides access to the property, the design creates an enticing entrance via an entrance courtyard which then provides access both into the house or around the west and east sides of the property. A boulder path that is heavily planted on the north side of the house leads to the open ocean vistas on the south side. This side has a patio area which starts under the upper living floor deck and extends into open sun. The hard lines of the patio are integrated into the landscape with low plantings to maintain water views. A hot tub/spa on the south side of the patio is linked to the outdoor showers with a bluestone walk set in lawn. 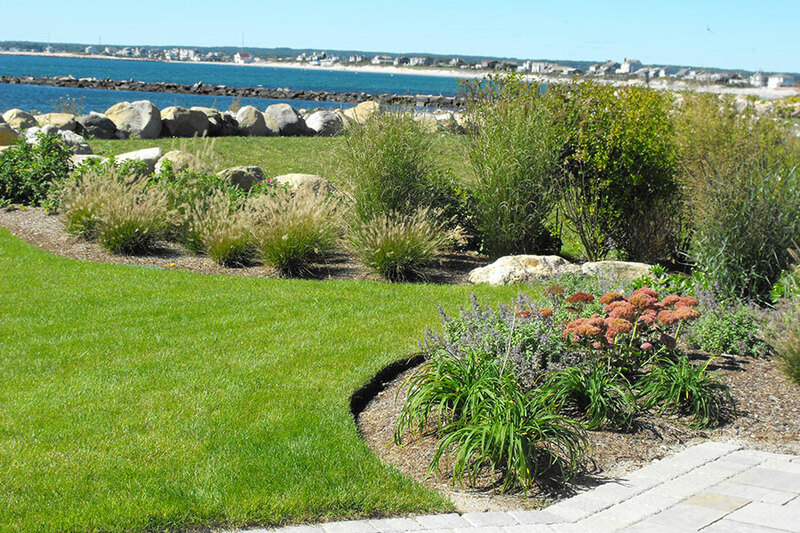 The rain gardens address storm water in compliance with 2010 Rhode Island Storm water regulations. 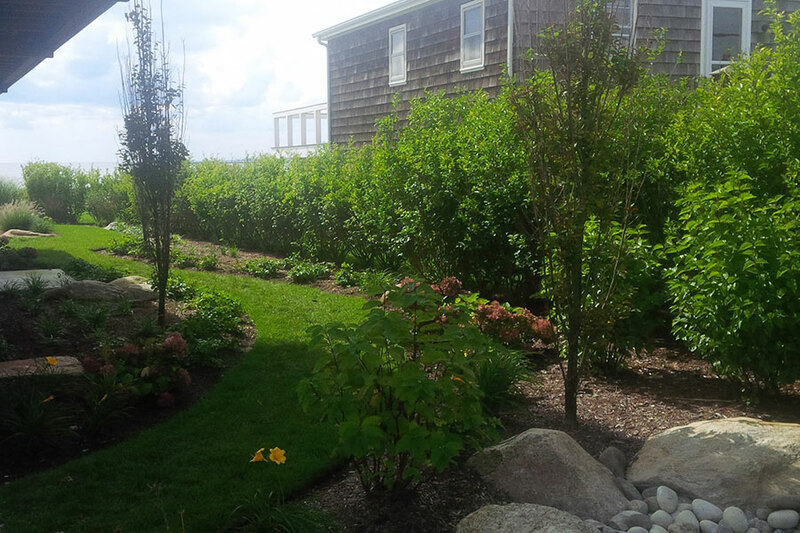 The rain gardens also help to meet Rhode Island Coastal Resources Management Council (CRMC) requirements. Plant material and mulch material in the rain gardens focuses on sustainability for the coastal environment as well as management of storm water.